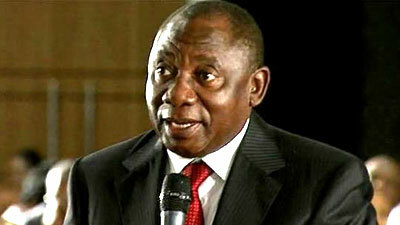 Ramaphosa vows to build an efficient, effective public service - SABC News - Breaking news, special reports, world, business, sport coverage of all South African current events. Africa's news leader. President Cyril Ramaphosa says comduct by public officials which people have been complaining about, is unacceptable. President Cyril Ramaphosa has vowed to visit various government departments in a bid to build an efficient and effective public service. He met with the officials from the Department of Defence and Military Veterans and the State Security Agency as well as the Eskom Sustainability Task Team in Pretoria on Tuesday. This follows complaints from ordinary South Africa about dis-interested public servants. For some time South Africa has been characterised by violent service delivery protests either because of the incapacity of the state to render services or simply because government officials are not diligently serving the people with respect, a concern to the ANC and its president. Ordinary South Africans often wait for such services in long queues and when the time comes to interface with government officials, they are told they are either in the wrong queue or it is time to knock-off they must come the following day. Government’s efforts to urge its workers to treat people with respect seem to fall on deaf ears. SABC News visited the Roodepoort Home Affairs department offices, west of Johannesburg, to see if government workers abide by the Batho Pele Principle. To apply for a child’s birth certificate can become a nightmare at the Roodepoort local office of the Home Affairs department. Some people have grown increasingly weary of the Roodepoort Home Affairs. Here are what frustrated clients at the Roodepoort Home Affairs department have to say: “We spent ten hours since yesterday, we are going to be back tomorrow at 6am literally for the same things; and nothing has been done yet. We are just here for the simple thing – a birth certificate. Tomorrow will be the third day… It is like they are doing us a favour. “I have been here a number of times and I will never recommend anyone here… it’s horrible because we have been standing for long and it’s terrible sitting in the sun when it is too hot like this. This place is pathetic I don’t think anybody enjoys coming here, you can never get anybody’s help everybody is on lunch no one cares to help and I don’t think I will recommend anybody here maybe at other Home Affairs department not here it’s horrible,” said clients at Roodepoort Home Affairs. Although Belinda Kriel is not happy, she believes lack of enough personnel also compounds the problem. But President Ramaphosa says such conduct from public servants will not be tolerated. President Ramaphosa visited several government departments, including the International Relations and Cooperation as well as the Cooperative Governance and Traditional Affairs portfolios. On Tuesday he was at three government entities. Presidential Spokesperson Khusela Diko explains the rationale behind the visit. President Ramaphosa’s visit to these government departments is part of the commitments he made in his 2018 State of the Nation Address that he would ensure that the work of government is effectively aligned and that public servants serve with people with integrity. This entry was posted on 15 Jan 2019,06:03PM at 6:03 PM and is filed under Politics, Homepage Latest Stories Slider. You can follow any responses to this entry through the RSS 2.0 feed. Both comments and pings are currently closed.